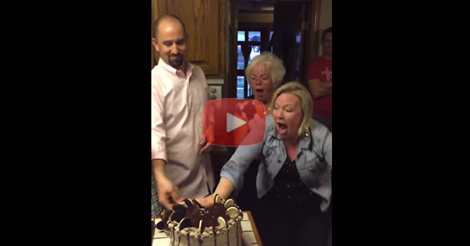 Check Out What Happens When Mother Of 6 BOYS Finds Out She’s Having A Girl! After having six baby boys in a row, a pregnant mother loses her mind when learns that baby #7 is a girl! The gender of her soon to be baby will be revealed by the color of the bottom of the cake. If it’s blue then it’s a guy, then if it’s color pink… then you know what it is! When she sees the color pink at the bottom of the cake… she can’t help but to be happily shocked. Who wouldn’t be, right? Now the mom can foresee a girl talk with her baby in the future. This Man Sticks A Sautee Pan In The Oven And Pulls Out Your Hopes and Dreams. 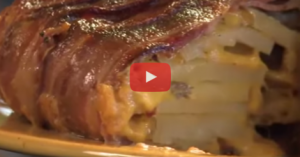 Yes, It’s Bacon.